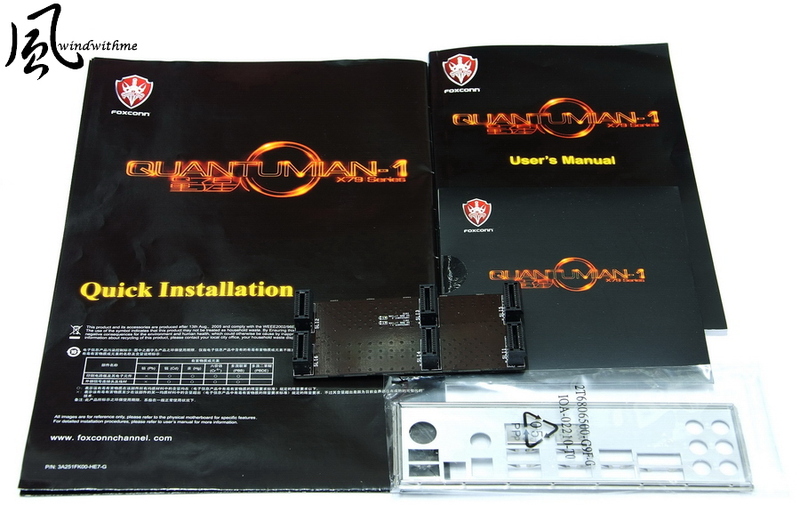 FOXCONN X79 Quantumian1 still provides various choices for the market though the quantities of Quantum Force series are not as various as they are in the past time. Soon after the release of Intel X79 chipset, FOXCONN promptly roll out corresponding X79 motherboard. Quantum Force was naming in a special way which the Intel code won’t be shown on the models. 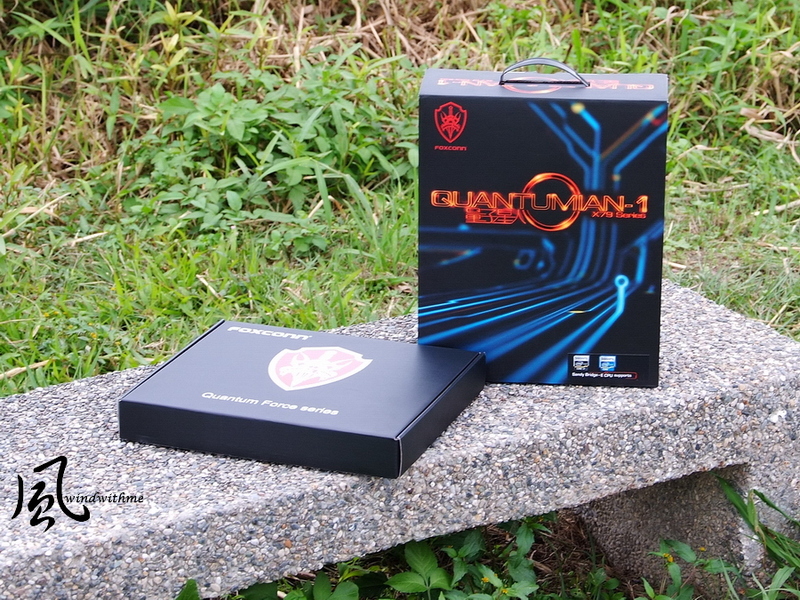 This time, QUANTUMIAN1 which belongs to the series of Quantum Force still follows the high-end style both in material and design. It is known that the market segment of Quantumian 1 x79 is positioned as high-end product line. from which we can see that FOXCONN pays a lot of attention on minor design as well. The upper black part is 24-PIN power input. 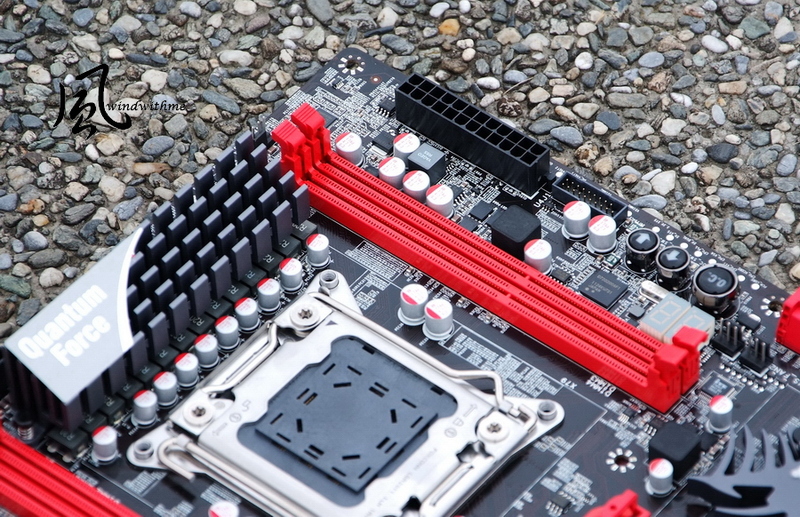 The right black parts are front USB3.0 expansion slots. 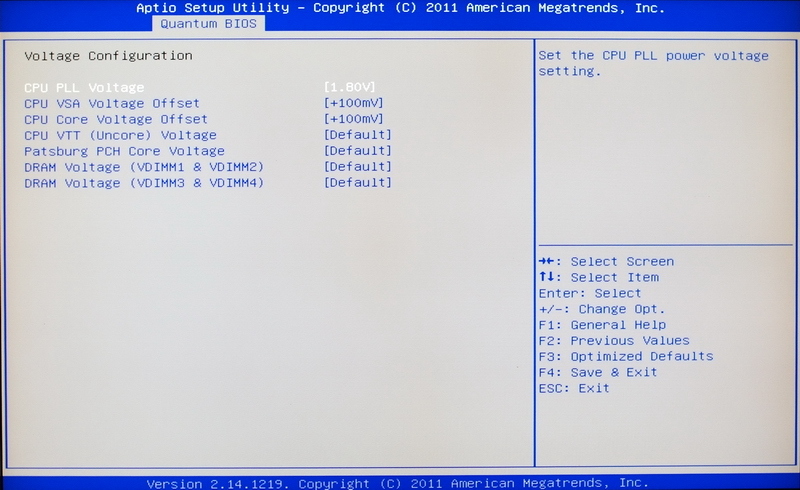 In the OC mode, pressing the OC_SW2 button will increase the CPUclock by 1MHz per step, and the debug led code will increase 0.1 at the same time. 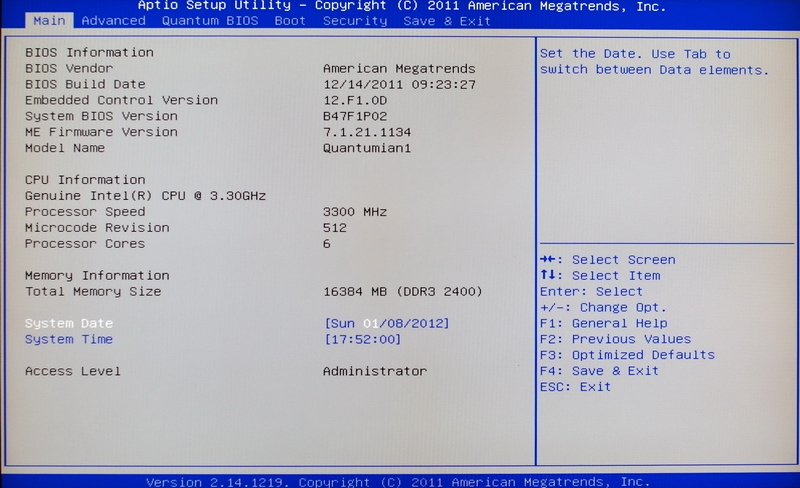 The debug led code “0.1” means the CPU clock is101MHz. A row of sliver small round dot means PCB Voltage Sensor which users could directly measure voltage. 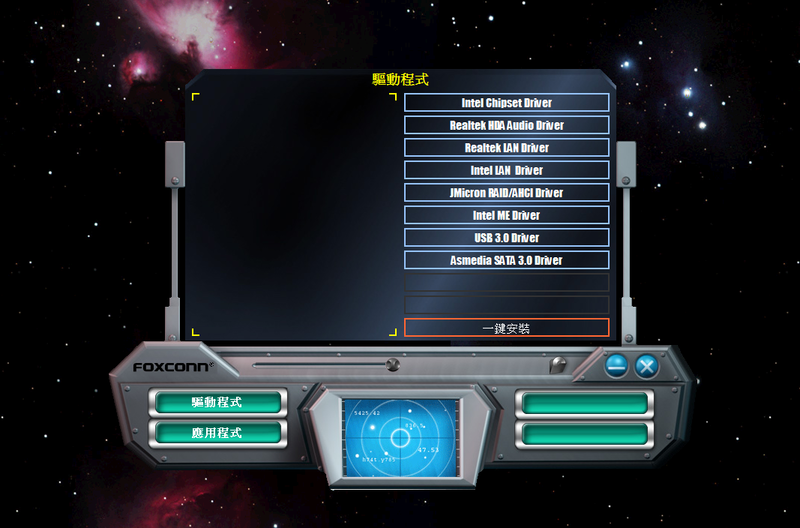 FOXCONN hasn’t imported UEFI interface which is much more artistic and controlled by mouse compared to traditional BIOS. However, it takes time to power on and the frequency of crash shutdown is comparably high. 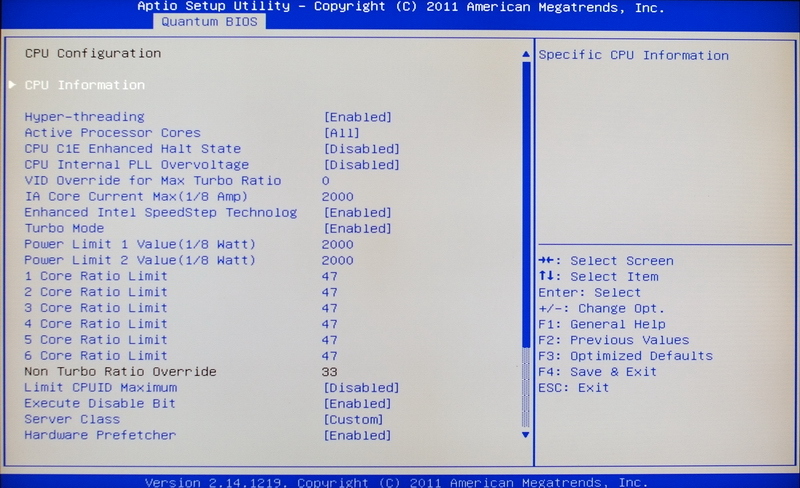 When over clocking, if you don’t CPU clock to be fluctuated downwards, you need to adjust the following selection. 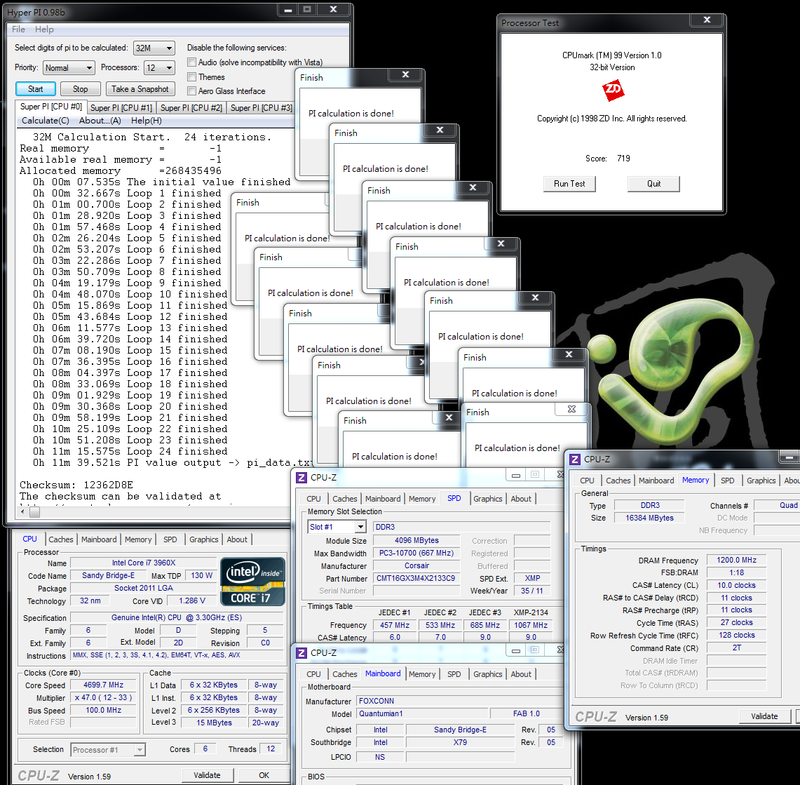 DDR3 parameter setting selection which provided various DRAM to slightly adjust parameter and steadily utilize it. Above is the over-clocking of both raising CPU multiplier and DDR3 clock. 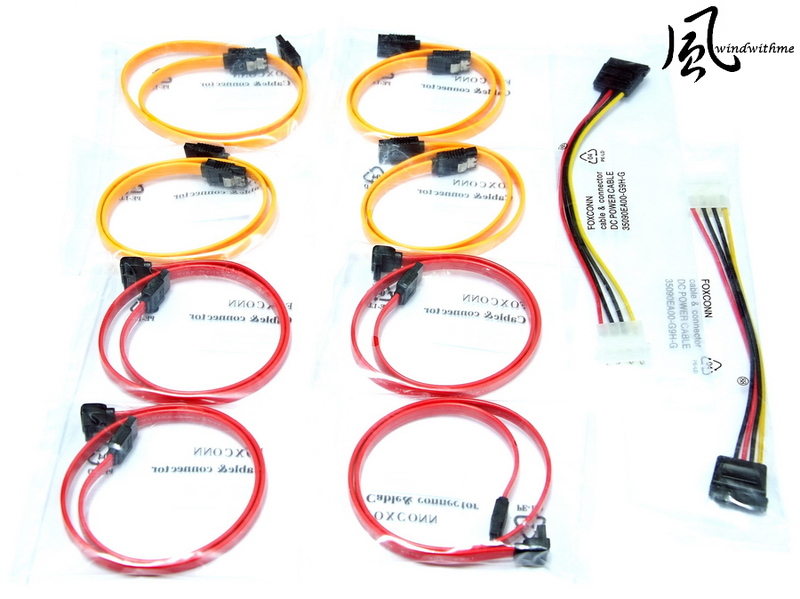 The voltage of both CPU and DDR3 has to be paid attention and so as the optimal of DDR3 parameter. 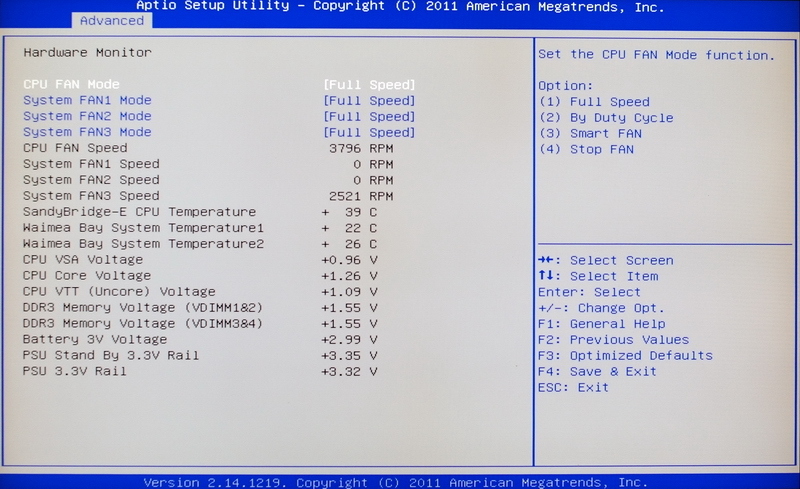 If you want to over-clock to above DDR3 2133, except for DDR3, CPU VAS Voltage Offset plays another critical role. Voltage+100mV has to be setup. 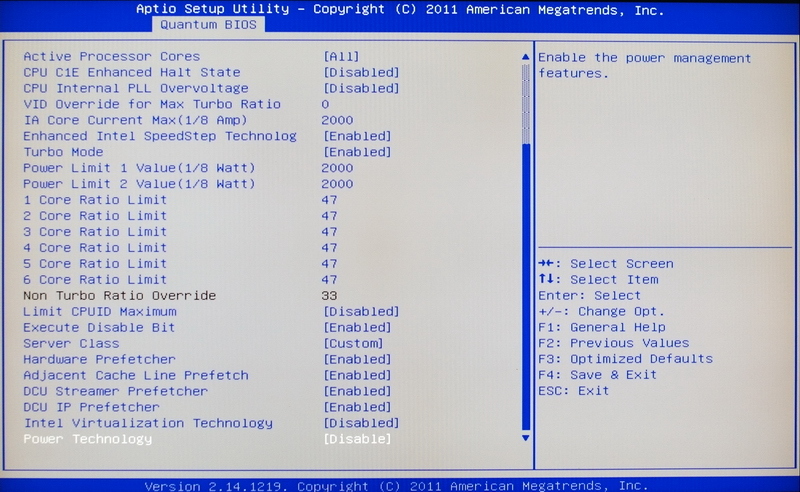 Above is the over-clock setting by windwithme, which is the reference for x79 platform. 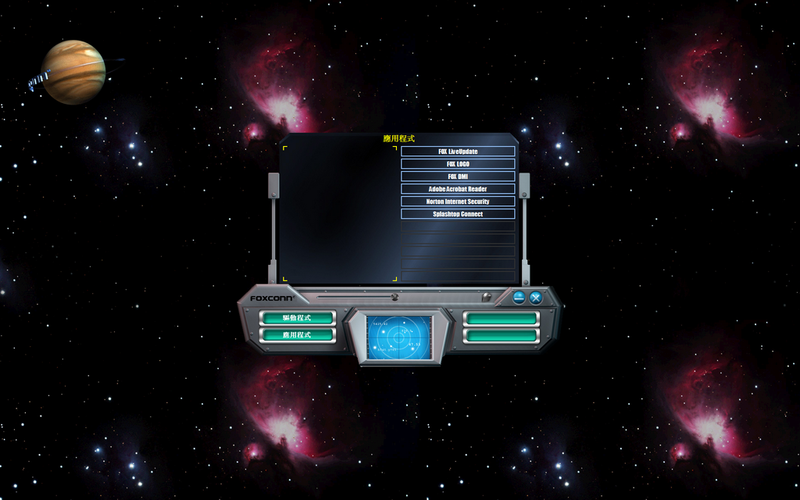 Full screen and outer space background are shown up after power on. 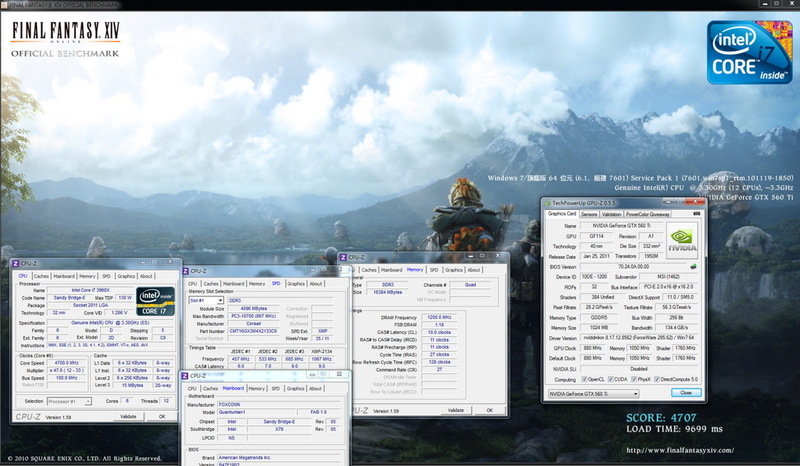 It only requires about 1.28V of 3960X OC 4.7GHz to steadily operated above testing software. which is at the same time one of the featured highlight even though the price of CPU is higher than the market. 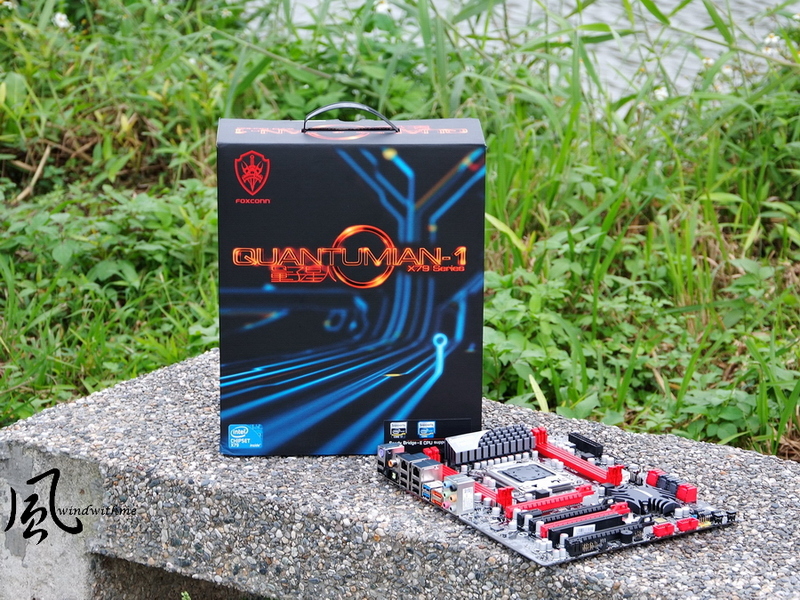 Quad channel DDR3 chipset is another X79 primary featured new technology which first one ever supports DeskTop. 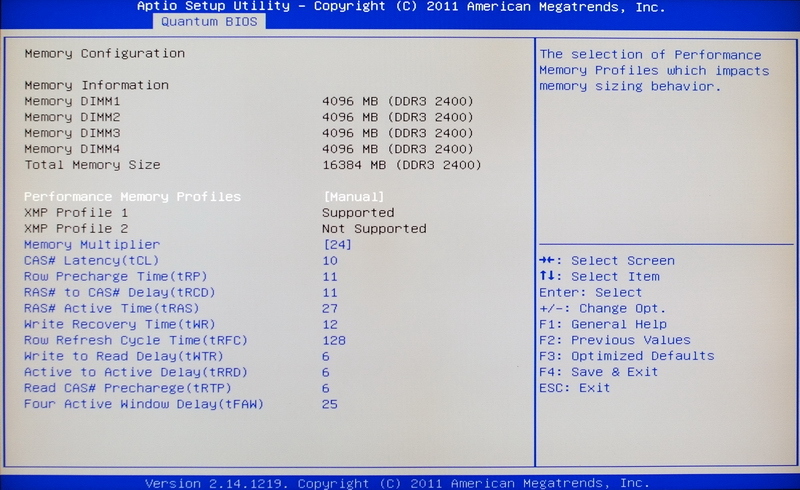 It supports the latest 1.3 version at Extreme Memory Profile(XMP) automatically over-clocking. In other wards, you would not able to enable XMP if your DDR3 is not the latest XMP 1.3version. 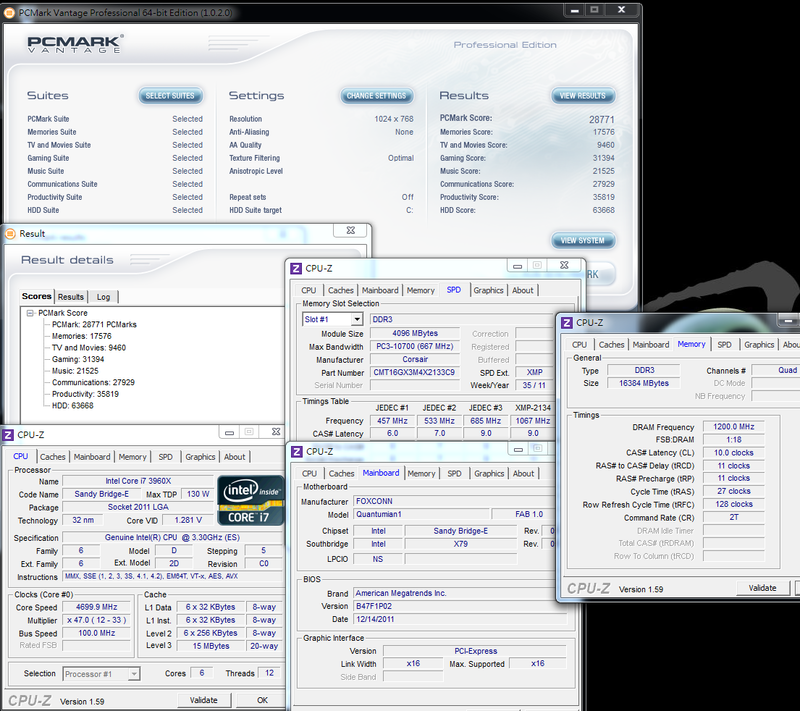 however the memory bandwidth of Sandra and above test CrystalMark is higher than two times than LGA 1155 platform. It seems the software technology of supporting quad channel will plays an critical role on performance gap of DDR3. CORSAIR DOMINATOR-GT could steadily up to DD3 2400 under QUANTUMIAN1 default voltage. 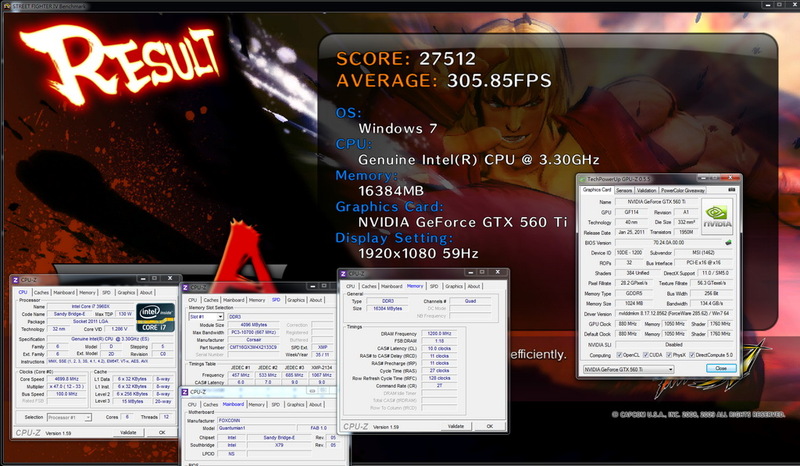 The performance of over-clocking is pretty amazing, which is partly contributed to the scope of over-clocking of DDR3 in X79 chipset. 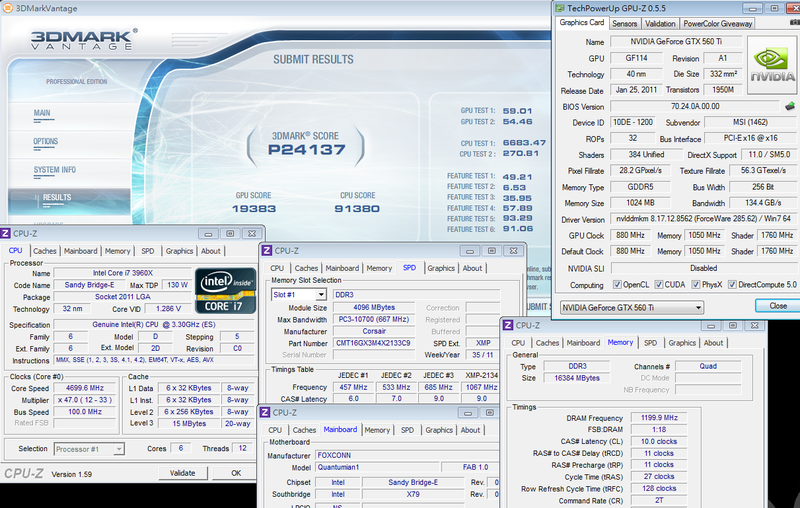 The scores of 3DMark Vantage on CPU SCORE is incredible high, it’s contributed by Intel 6C12T without question. 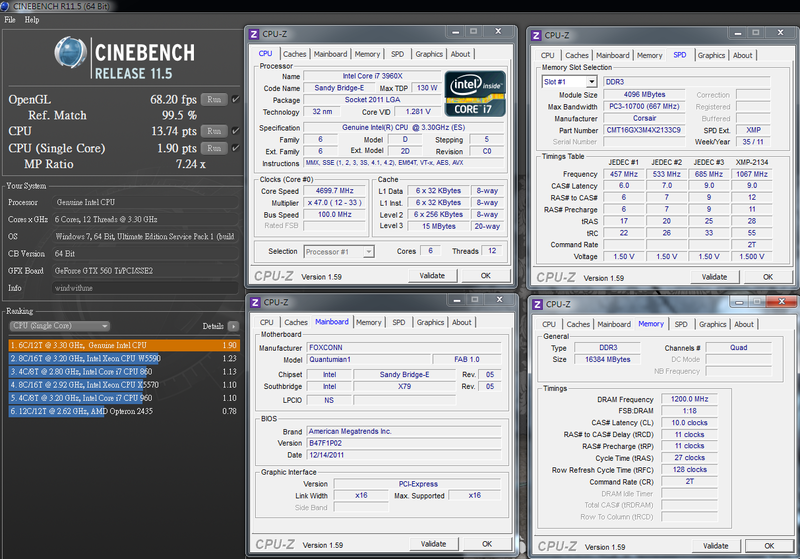 Other 3D Game test software do not take many advantages on multiple cores, they would get higher scores based on CPU. Basically, it’s rarely for game to support up to CPU of 4 cores therefore the rendering ability of CPU structure is highly important. There is no required software to open CIE power saving technology, 77W, under OS desktop. There is no required software to open CIE power saving technology, 177W, under OS desktop. It is more to say that C1E is a outstanding power saving choice, which you can save around 100W when you open C1E technology under stand by mode. 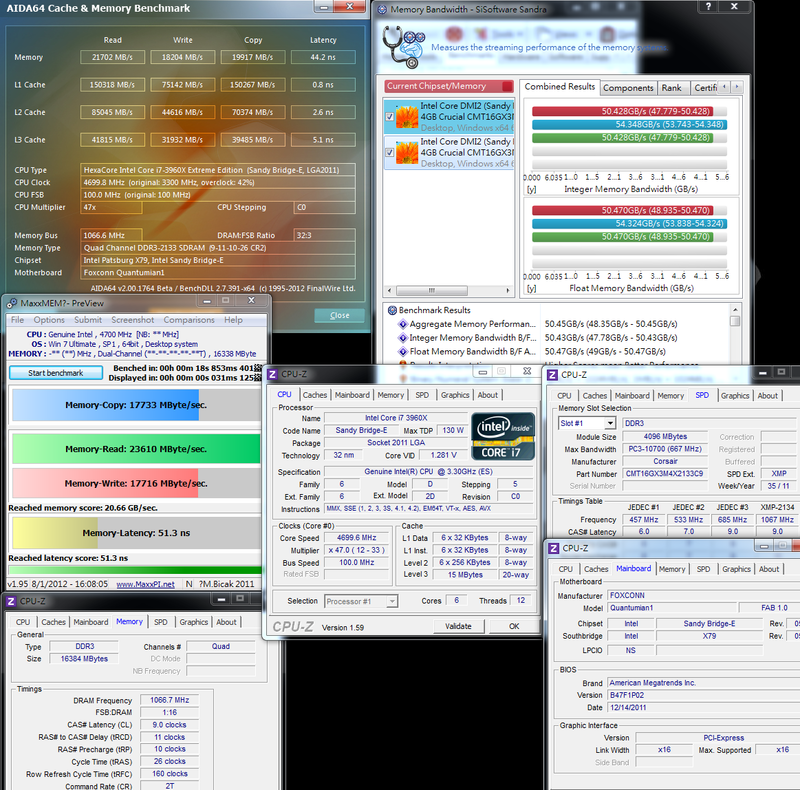 The power consumption when the CPU full speed is 364W which is no difference compared to the previous combination of X58 and 980X OC 4GHz. The above theory is as same as high-end VGA. 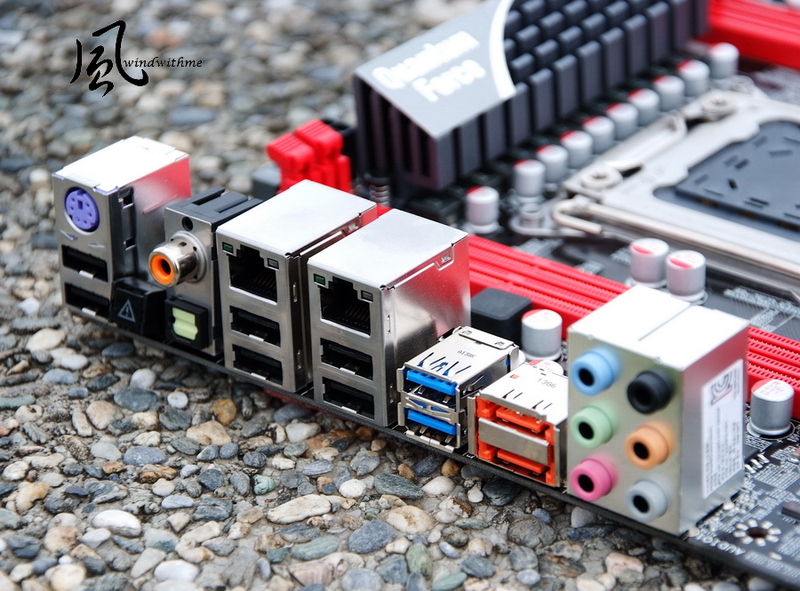 The next high-end VGA generates much more performance but with no difference on power consumption compared to the previous same product level. 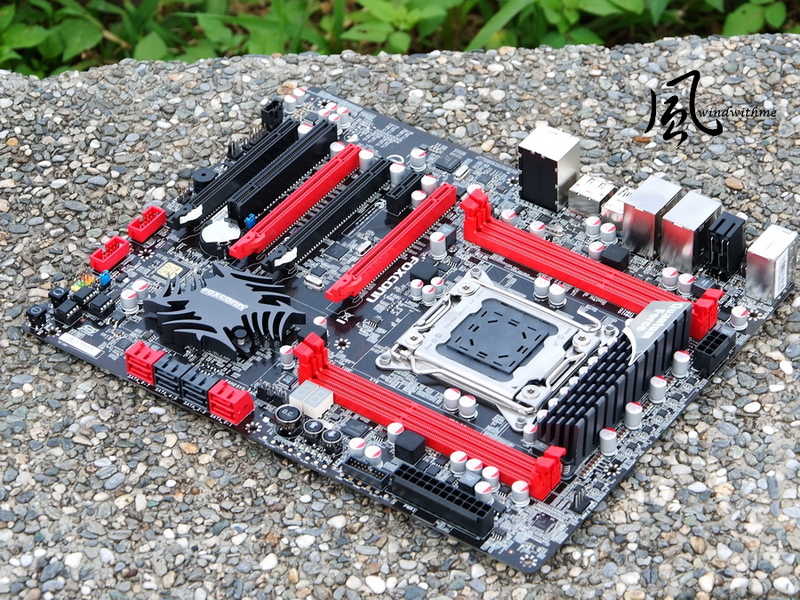 It is proved that Sandy Bridge-E possess higher clock and more progress on power saving. 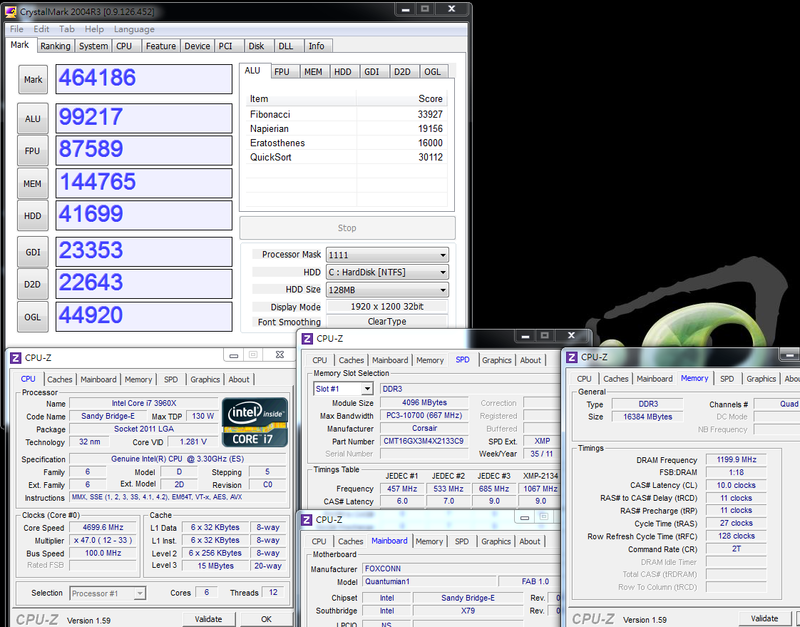 Core i7-3960X is the highest Intel CPU specification. It’s suggested to use much higher-end cooler under over-clocking. 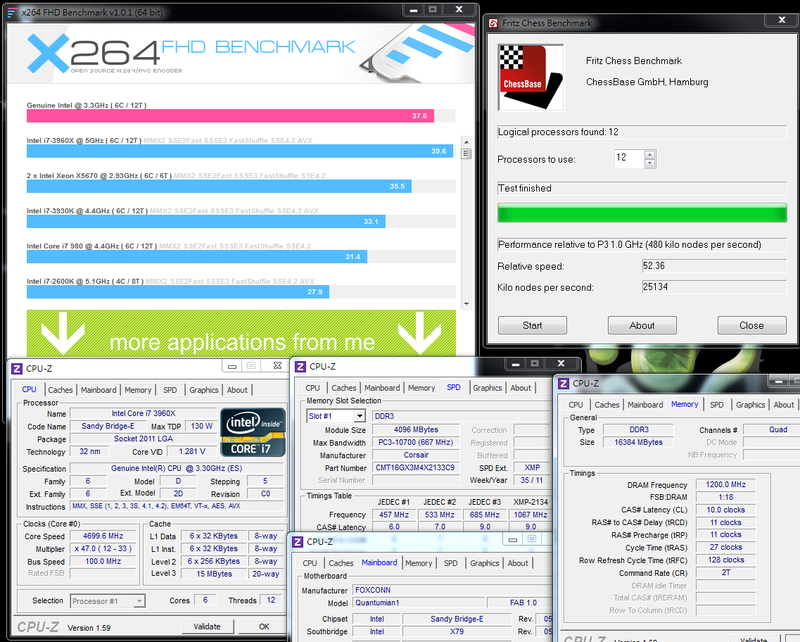 The temperature performance of both standby and full speed under OC4.7 GHz over-clocking is quiet excellent. 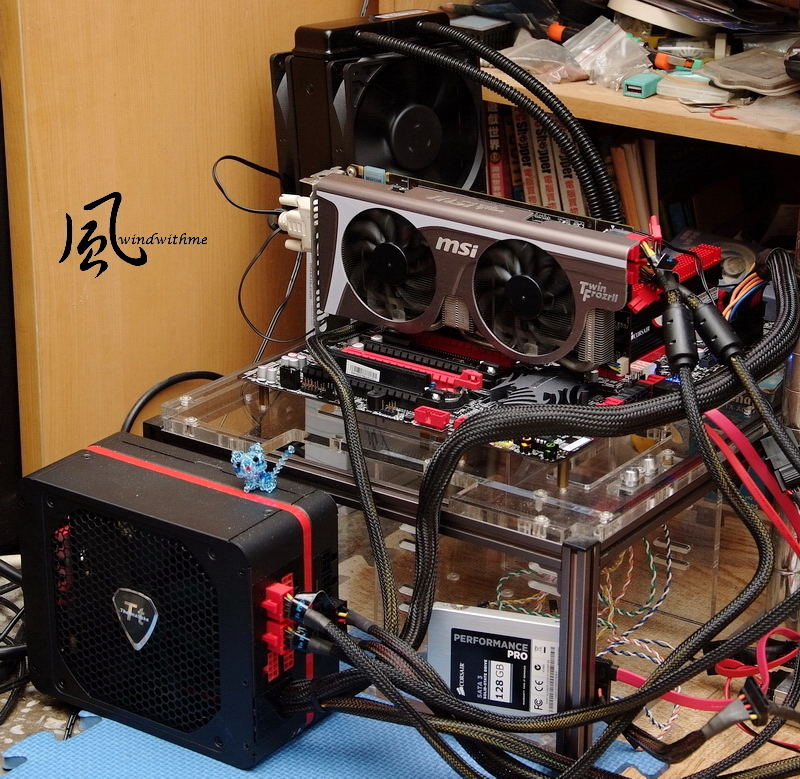 In order to avoid the gap between the temperature-measured software and actual temperature, the heat pipe of water cooling is just warm but hot. when CPU is extreme over-clocking, it is the one and only way to pay attention to thermal. Last, under the same room temperature 21℃ and over-clocking of CPU OC 4.7GHz, the temperature of MOSFET is measured by temperature-measured software. 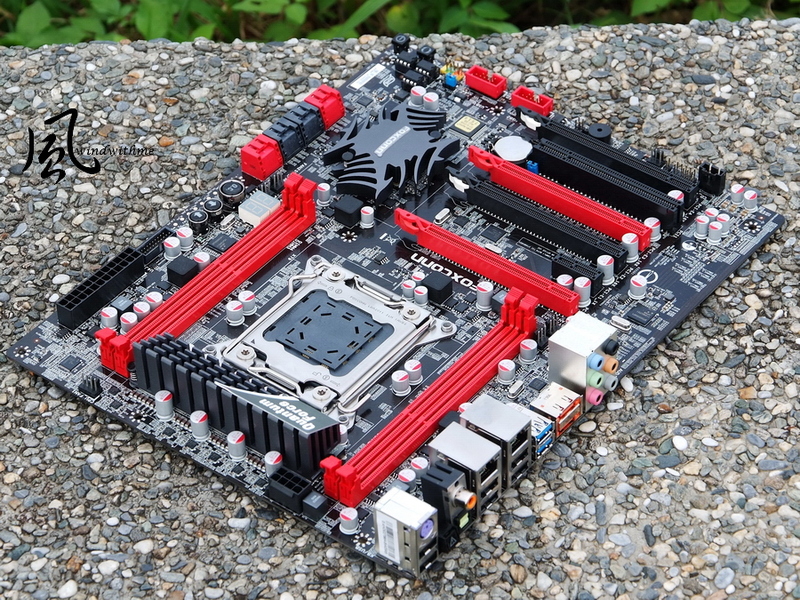 which is contributed to heat sink since most of X79 motherboards will over 80℃ while over-clocking. 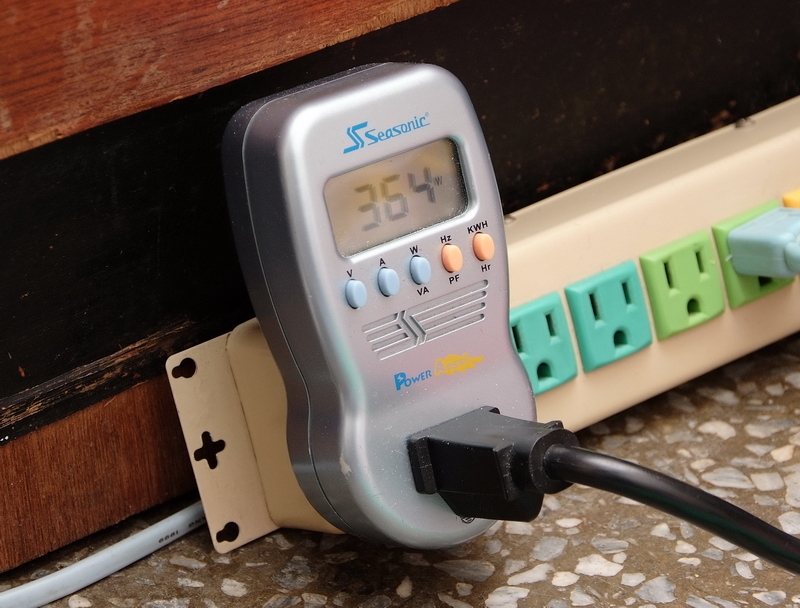 I personally suggest emphasizing heat dissipation when over-clocking. The following product review of X79 will also measure the temperature of the hardware as reference. 2.Japanese 100% solid capacitor embedded POWER/RESET/CMOS Reset button and debug light. 3. 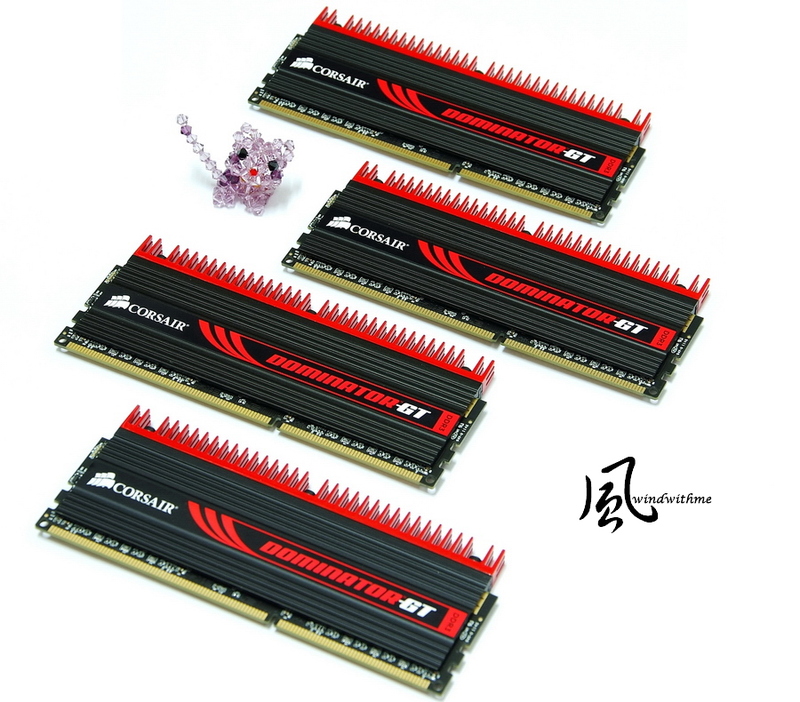 Up to 4 X PCI-E X16 which effectively level up 3D performance. 5. Special OC Switch Button design to directly provide over-clocking request. 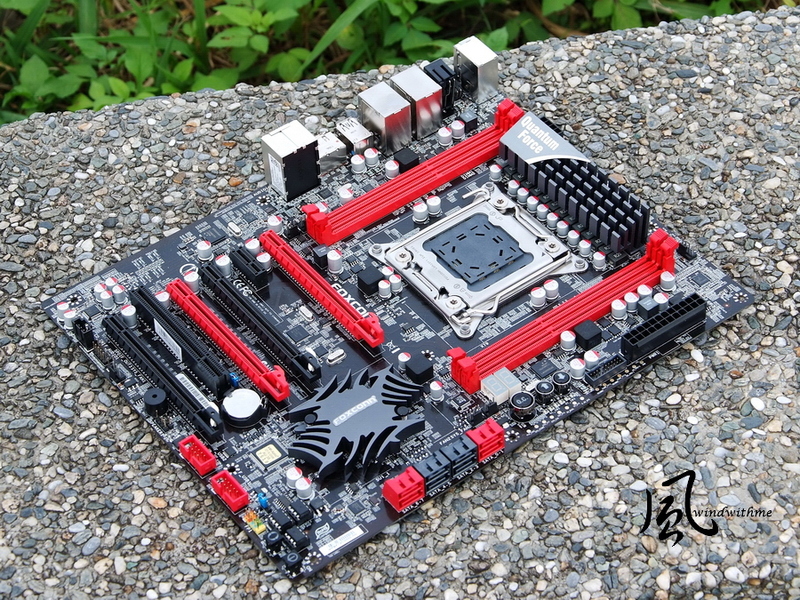 It has been 3 years for Intel to update the previous high-end product line X58 chipset of LGA 1366. It is expected that the structure of LGA 2011 would be market for at least 2-3years which is longevity than Intel lower-end product line. 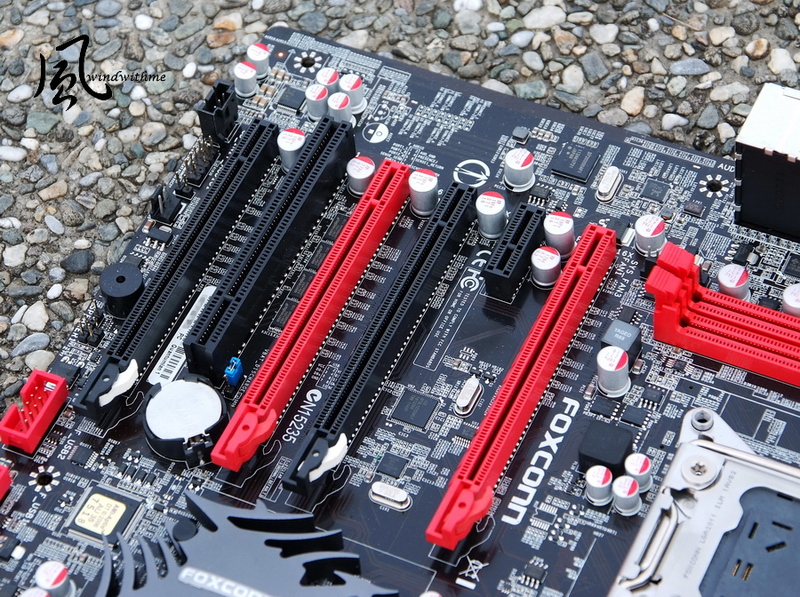 However, theoretically, high-end chipset performs much better than others. 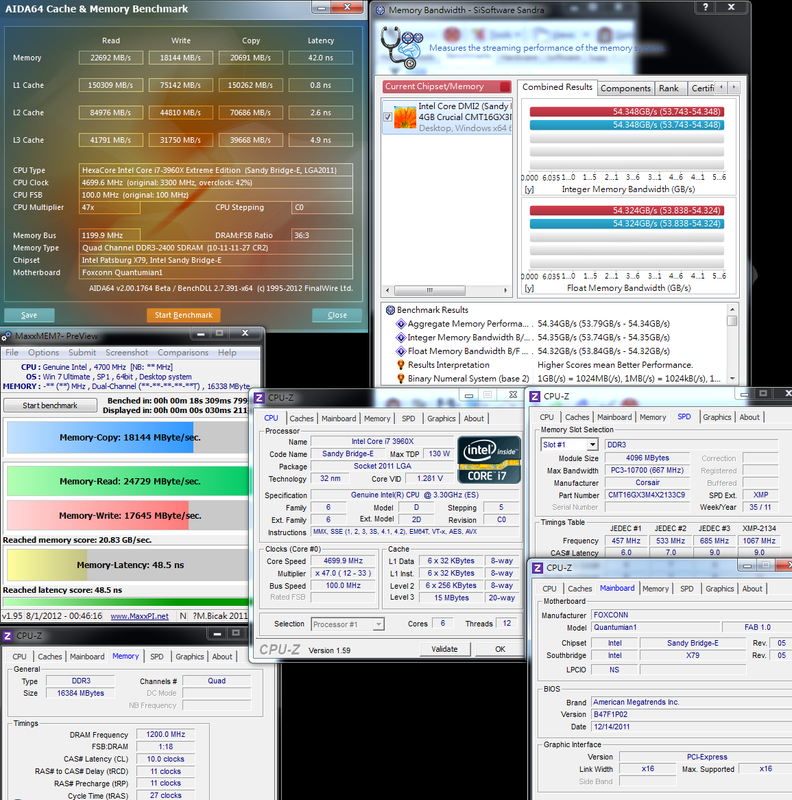 Quad DDR3 and the bandwidth of Dual PCI-E X13 are the most featured strengths. 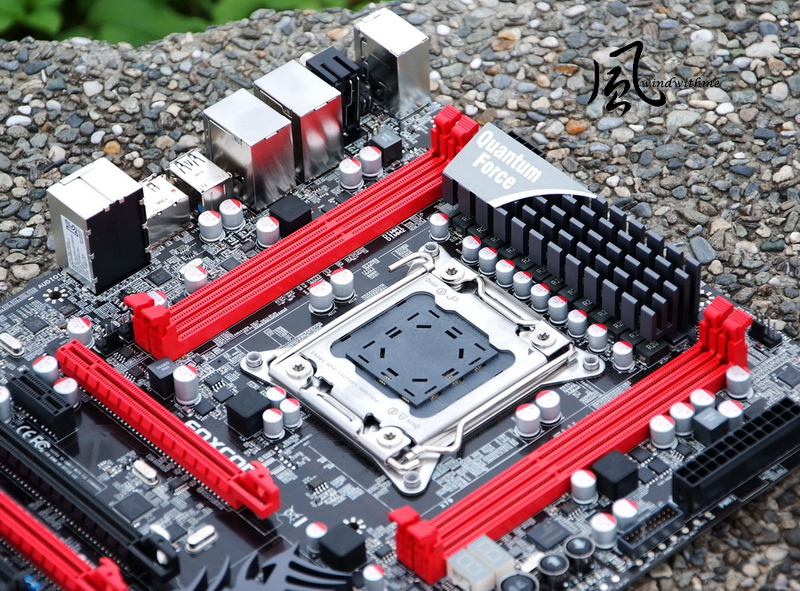 Besides, CPU supports 6C12T which is lack from middle-end LGA1155. Though X79 belongs to high-end product line, it segmented by entry level, middle-end and high-end based on price. The price of FOXCONN QUANTUMIAN1 is around USD$275 which possesses the entry price of X79 but performs as same as middle-end X79, USD$330. It indirectly promotes the C/P of QUANTUMIAN1. QUANTUMIAN1 performs quiet outstanding. 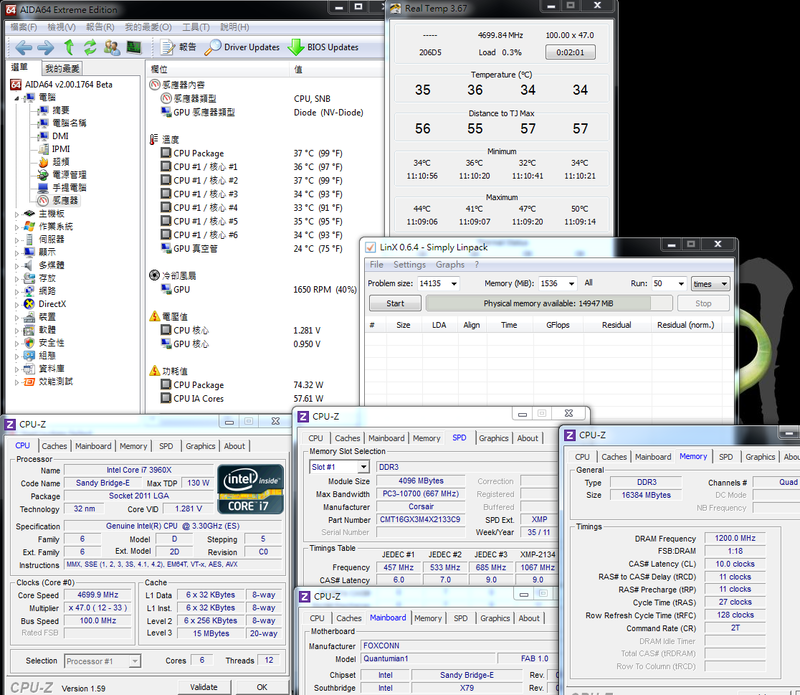 CPU 4.7GHz / DDR3 2400 could be achieved by stable voltage. 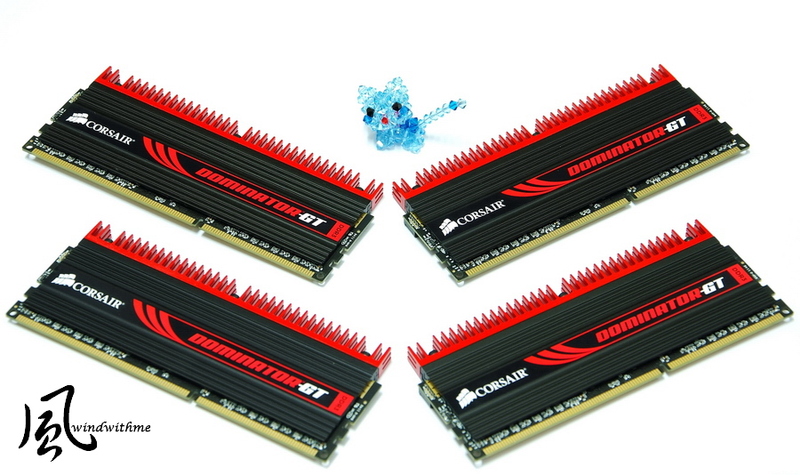 Besides, it is a steal to have 4 X PCI-E X16 under this price. 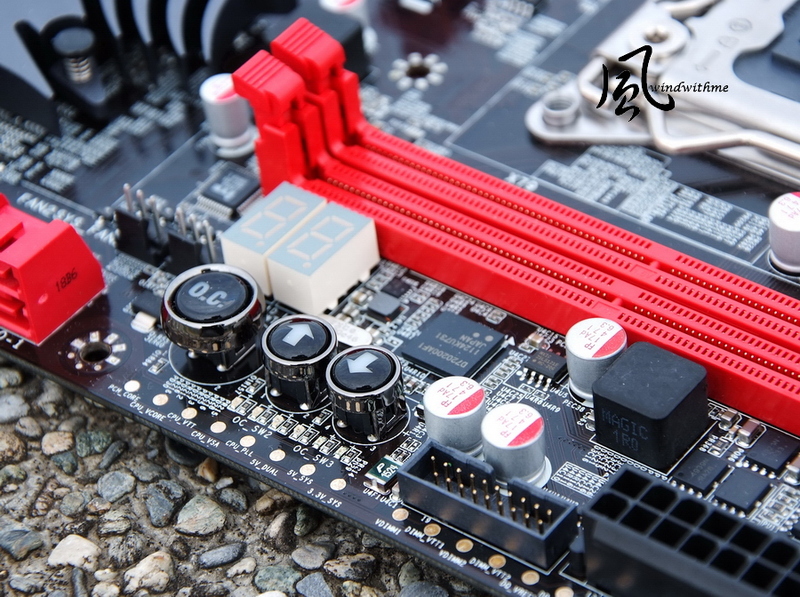 On top of that, the color and materials of motherboard meets the standard of high-end product line. 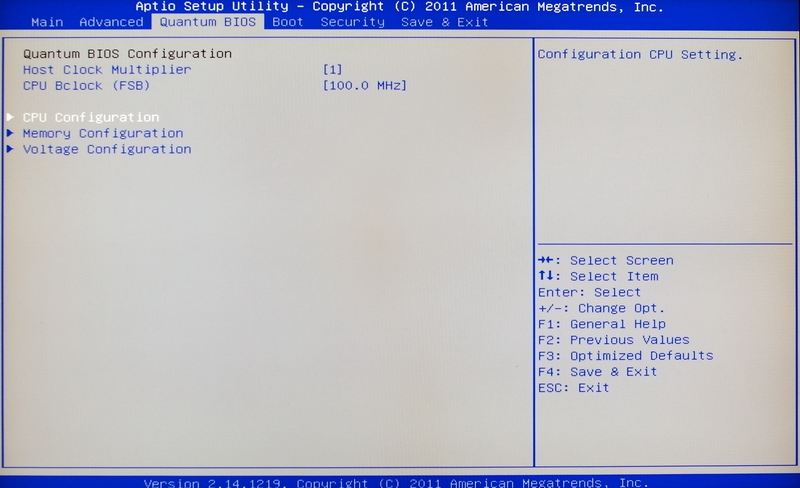 It would be better if BIOS update could add UEFI interface and 1T selection in the near future. 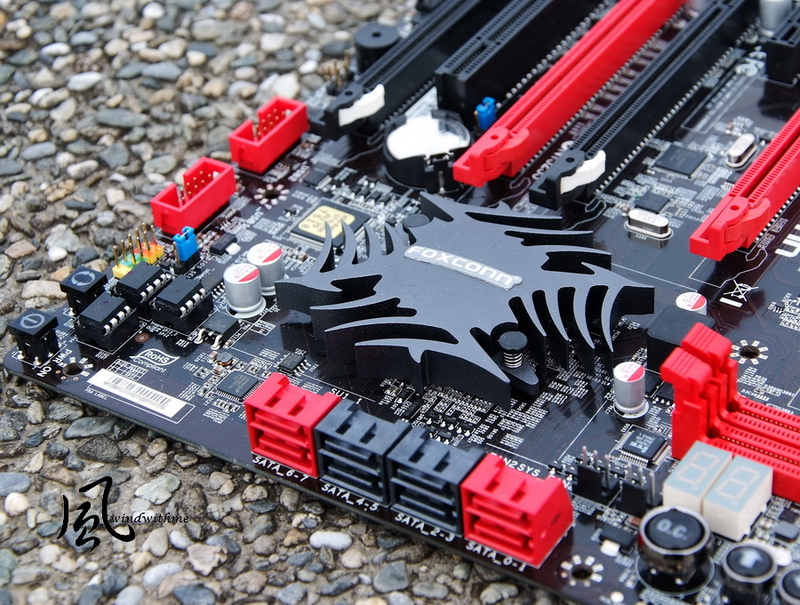 In recent years, the selectable motherboard brands become less and less. It would be great if FOXCONN could continuously roll-out more Quantum Force product line and to have more products to support more models. To populate more high-end and various FOXCONN product line would provide numerous benefits for hard-core users. This article is also post in my blog WIND3C, Any comments are welcome.